Are There Any Risks Of Teeth Whitening? A lot of people are suffering from tooth discolouration to a certain degree. Even for those who diligently brush, floss and go to the dentist twice a year will find that food, environmental factors and time will sooner or later take their effect on the natural whiteness of their teeth. Luckily, options like professional teeth whitening is a great way to whiten or eliminate discolouration and attain a naturally radiant smile. Nowadays, there are a lot of teeth whitening options compared to previous years. Although you can opt for the various over-the-counter teeth-whitening products, having a professional dental health professional do the whitening treatment is much safer and offers more effective results. If you undergo tooth whitening from a dental health professional, they may be able to predict and detect if you have problems with tooth sensitivity while undergoing the procedure. They can also help you in alleviating tooth sensitivity by suggesting certain procedures and toothpaste that are made for sensitive teeth. Another side effect of teeth whitening is gum irritation. A number of patients experience gum irritation from either the bleaching trays or whitening gel. But, this is not a serious effect as it will subside in a matter of days. Teeth whitening products don’t work on dental restorations like veneers, dental crowns or fillings. If you have a restoration and you will undergo teeth whitening, the colour of the restoration will stay the same. Because of this, most people will opt for teeth whitening first before undergoing dental restoration procedures. Normally, 90% of patients will have a successful tooth whitening procedure. 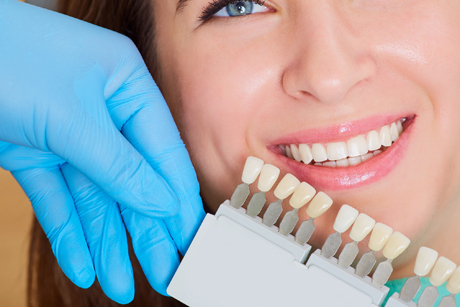 As a general rule, yellow-coloured teeth have better response with the whitening procedure, while teeth that are brownish in colour doesn’t respond well to the whitening procedure. Certain conditions like taking tetracycline or fluorosis and smoking can cause grey stains in teeth which will likely be changed by tooth whitening. Similarly, tooth whitening may not be that effective for tooth-coloured fillings. The whitening agents will not be effective on these types of materials and will not match with the other newly whitened teeth. For such cases, it may be better to look for other options like dental bonding or porcelain veneers. Thanks to Elgin Corners Dental for their advice on this dental matter.